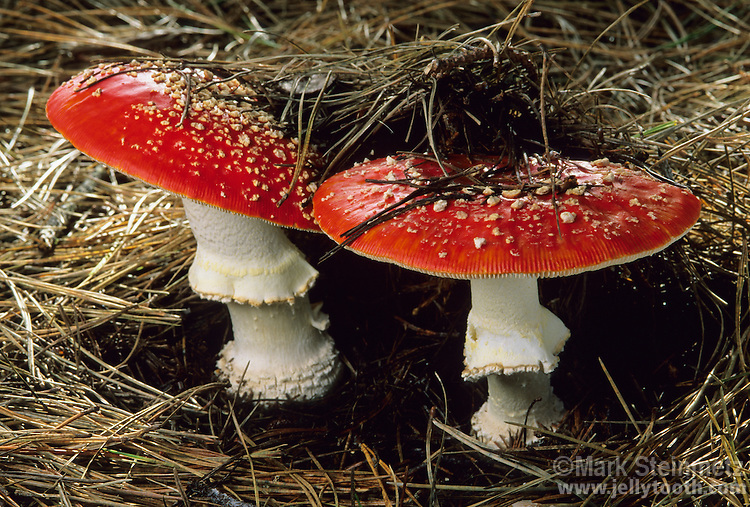 Fly Agaric (Amanita muscaria var. muscaria). Also known as Fly Amanita. Color of cap ranges from yellow to orange to red, but it's the brilliant red variety that is an iconic symbol across so many cultures. The white spots are remnants of the universal veil. Originally native throughout the temperate and boreal regions of the Northern Hemisphere. Both poisonous (though not deadly) and hallucinogenic, with quite a bit of variability in both regards. Of religious significance to many ancient cultures, widely regarded to be the "Soma" talked about in the ancient Rig Veda manuscripts of India.